1 HISTORICAL PERSPECTIVE: Learn about the people and events that shaped Boulder City on a visit to the Boulder City-Hoover Dam Museum. Filled with exhibits and interactive displays, the museum focuses on the early days of Boulder City and the construction of Hoover Dam. It is housed inside the Boulder Dam Hotel, 1305 Arizona St. The museum is open daily from 10 a.m. to 5 p.m. Admission is $2 for adults and $1 for children and students. 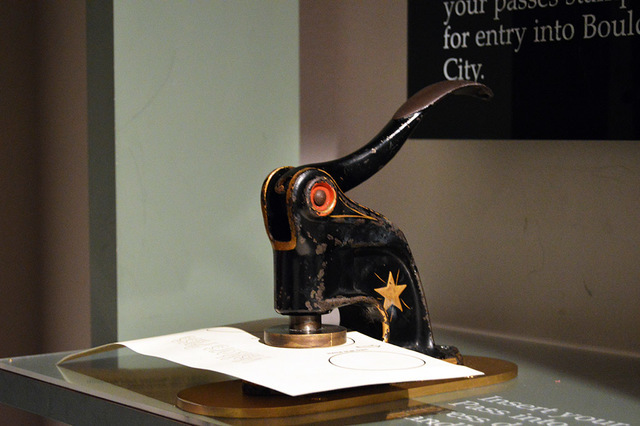 File The city manager's stamp machine is shown inside the Boulder City/Hoover Dam Museum. When Hoover Dam was being constructed visitors who wished to stay longer than 24 hours would need to get permission from the city manager, who was in control of all city matters. File The Boulder City Library offers books and movies for area residents to enjoy. 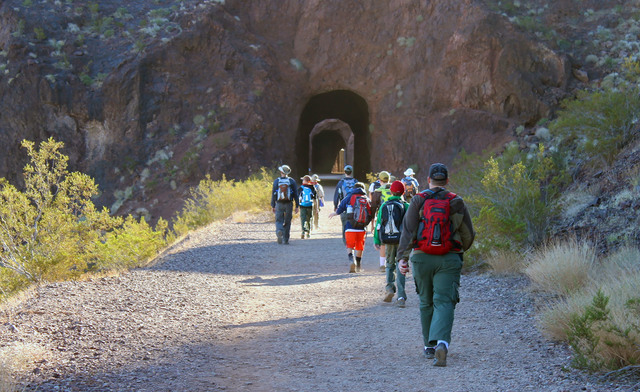 File The most popular hike within Lake Mead National Recreation Area, the Historic Railroad Trail leads adventurers through a series of tunnels, 25 feet tall and 300 feet long, blown open 80 years ago to make way for trains carrying equipment for the construction of the Hoover Dam. It is one of many exhibits inside the museum. 2 GET LOST IN A BOOK: When the holiday festivities slow down and you are looking for something to do, take a literary adventure or watch a good movie. 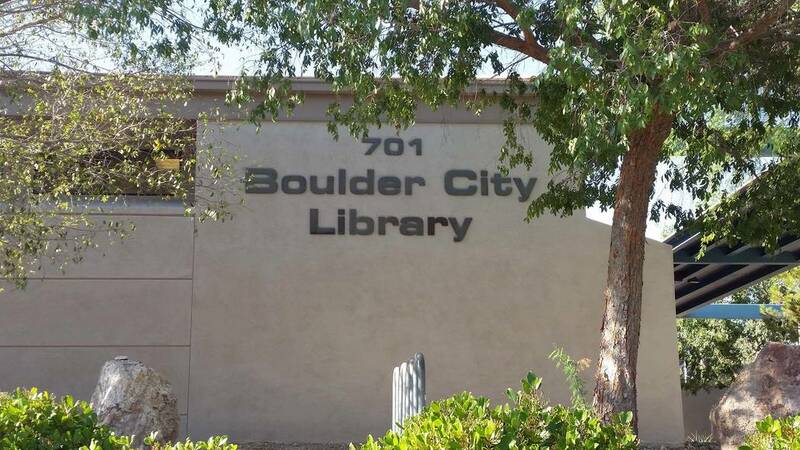 The Boulder City Library, 701 Adams Blvd., is your one-stop location for either. Call 702-293-1281 for more information and to double check hours of operation. 3 TAKE A HIKE: With temperatures expected to be in the low 60s this weekend, the weather will be ideal for a hike on any of the trails surrounding Boulder City. For an easy stroll, take the Historic Railroad or try the River Mountain Loops trails at Lake Mead National Recreation Area. For more information about the trails within the park, visit https://www.nps.gov/lake/planyourvisit/hike.htm.